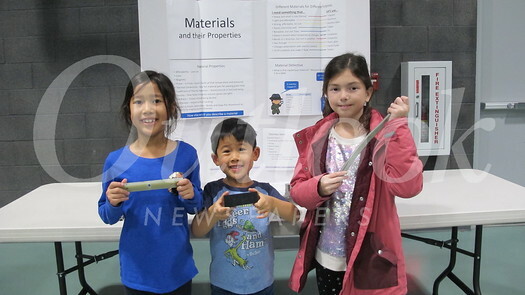 Paradise Canyon Elementary School hosted its first STEAM Night of 2019, and students and parents attended in record numbers. PCY parents Larry and Sojin Lee chaired the event and set up numerous hands-on learning centers, which parent volunteers staffed. Topics of how pulleys work, buoyancy, the difference between saltwater and freshwater, polarization and how it controls what people see, how air makes cars go faster, metal materials and their characteristics, and how airplanes fly were the topics at the centers. Everyone, including the parents, had fun and learned new things.